As I sit here ready to update this long abandoned blog I am 3 days away from my first chemo treatment. 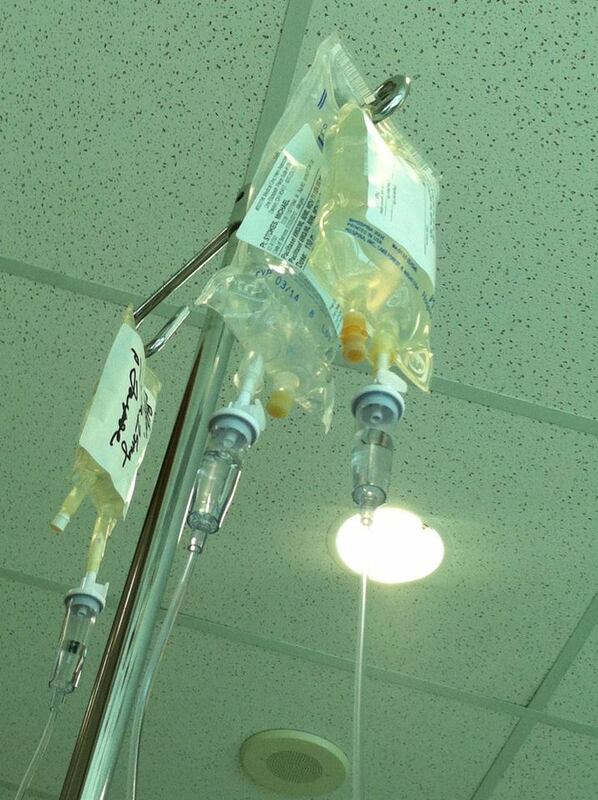 I never imagined I would ever be one who ever needed chemo but here I am. I have had quite the battle in the last 5 weeks. It’s not the battle I thought I would have. It’s not the summer I imagined it would be. But it is the one that I have been dealt and the one that lies before me. On April 8th I went to my primary doctor for a long overdue check up. I decided in March that I wanted a particular medicine for some fungus that I had on my toes but my doctor’s office said I would have to come in for a check up to have the blood work done because it had been 3 years since my last check up. I know it was overdue and I knew that I needed to go in but I just didn’t. So I set the appointment for April 8. While my doctor was pokin’ and proddin’ she made a gasp when she pressed on my stomach. She said my uterus felt the size of a five month pregnant uterus. I assured her quite emphatically that I was NOT pregnant. So she sent me for an ultrasound. That was a Monday. That afternoon I was called to go back Wednesday morning for CT Scan with contrast (they wanted it on Tuesday but my insurance wanted to cause problems – you know how that is). That evening Ron and I were on our way out to dinner with our best friends because the day happened to be my birthday when my phone rang. I answered it. It was my doctor who told me I had a tumor on my ovary. She was sending me to a Gynecological Oncologist. My appointment with him was 7:30 the next morning. Oh and Happy Birthday. The next morning I saw Dr. Wheelock where he told me that I have Ovarian Cancer. He assured me that on Monday morning we were gonna get it out and get it GONE! The word “cancer” scared me. How did cancer get inside of me? What was I supposed to do with that? I’ve been battling cancer with my dad for 3 1/2 years. I didn’t know how to fight it from this side of the battle. I think I went into a shut down mode for a long time. People said they were praying for me. I was mostly numb. People took my numbness as a positive attitude. As I look back on those first couple of weeks I think I was honestly just floating outside of myself watching it all. The final word has come in that it is cancer and that I will be having chemo. I have settled into myself. I have felt the fear settle in. I am afraid. I cling to the Lord who promises never to leave me or forsake me. He has a plan. I don’t know what it is. I don’t have a clue. I cling to Jeremiah 29:11 – “For I know the plans I have for you, says the Lord. They are plans for good and not for disaster, to give you future and a hope.” Beth Moore says it best and is my motto in this cancer battle along with that verse. She says “As we seek to know God’s will and go where He sends, he doesn’t just wait for us at our next stop. He travels every mile right beside us.” So wherever I go and whatever path I take God and I will be walking hand in hand. I have been very quiet lately for a number of reasons. If you follow me on FB or on Twitter you probably have figure out the biggest change in our lives right now. It has nothing to do with either one of the children at college. It has nothing to do with Bible Study. It has nothing to do with either one of the kids cars. It has nothing to do with my fibromyalgia. It has nothing to do with my headaches. While all of those things are playing a BIG role in my life none of them come anywhere close to what is happening in my childhood home in New Carlisle Ohio right now. My dad’s laryngeal cancer has returned for the third time. Thankfully it seems that the doctors always seem to catch the cancer early enough to be able to stay on top of it. For that I am grateful. He had a PET scan last week. Chemo will begin tomorrow. 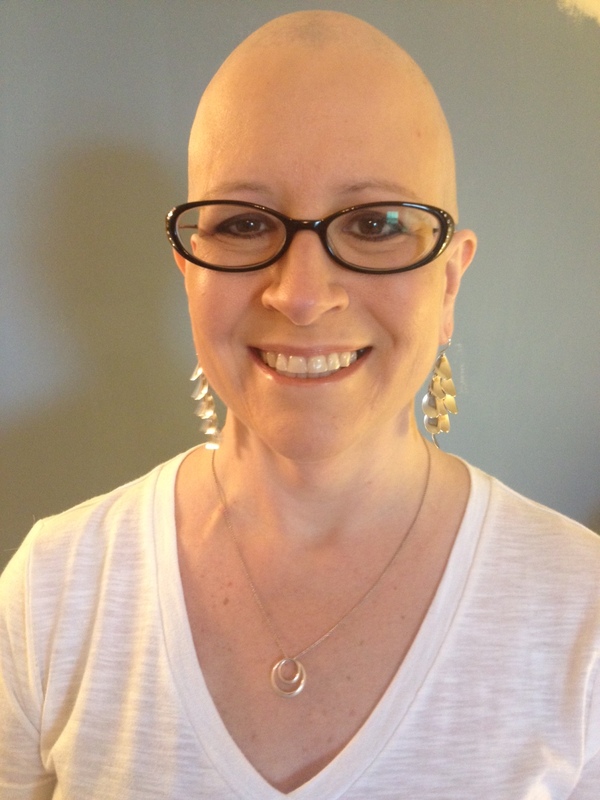 At this point things appear to be preceding like the last round – chemo once a week. He has had a considerable amount of swelling in his throat for a number of weeks. He has also had some growths pop up around the area of his stoma (the location of his trach). I’m actually looking forward to the time when they chemo shrinks that area so that he will be able to eat normally again. He’s been having to eat via a feeding tube he had put in at the end of his last round of chemo before. We are all looking forward to that. I’m not sure how he does this over and over again. I would be beyond depressed. And I can see the disappointment on him. But he understands that this is just something that has to be done and he goes and does them. So much has been taken from him. But somehow he keeps going. I will be spending a lot of time up there over the months ahead. I’m not sure what that means at this point. In 2010 we had a very rocky year. I pray every day we don’t repeat that year. That year brought too many close calls. I hope to keep close by so I can help mom and help keep an eye on dad at the same time. We don’t want anymore emergency room visits or hospital stays. We want this to go smoothly. It may be the third cancer run but we want it to be smooth and successful. We got this, Daddy!! No. Evidence. Of. Cancer. Four magic words that my dad read on his PET Scan test results this past week when he met with his Oncologist. In the last four years he has had a very long battle that I have documented here on my blog in a series titled My Dad, My Hero. This past June the first four words were NOT the words he heard from his doctor. Some new spots had begun to appear around dad’s stoma. After some testing it was determined that after about a year and a half that his cancer had returned. The first time his treatment was daily radiation which was very hard on his body. However this time his treatment plan would include chemotherapy. Anytime the word cancer is used in regards to someone you love is scary enough but when you also include the word chemotherapy fear is the natural reaction. I did not like the sounds of that. 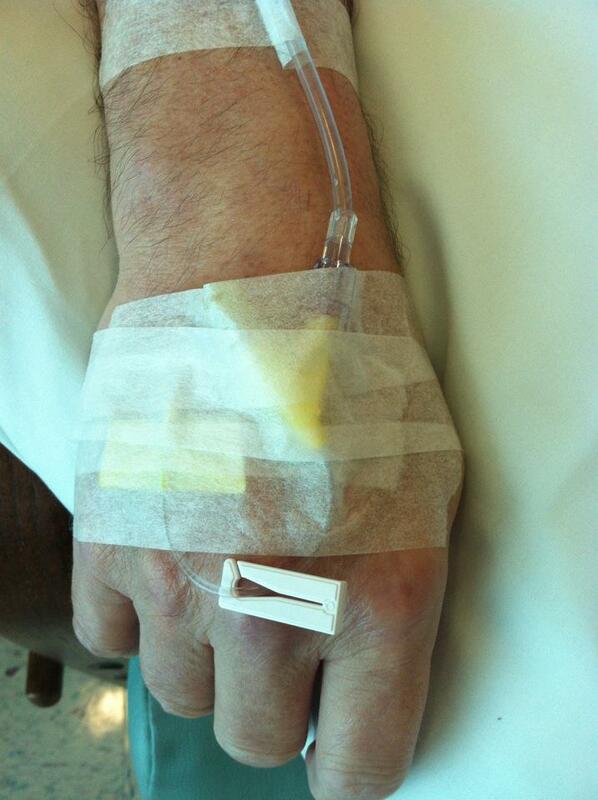 I did not want to think about chemo making my daddy, my hero, so deathly ill. I was mad enough at the cancer. My emotions were raw. The thought of him having to battle being sick from something that is supposed to cure him could not compute in my brain. It just made no sense and was totally unacceptable to me. It was decided that he would have one chemo treatment a week for as long as it took to get the job done. We all watched for the typical signs – nausea, vomiting, weight loss, fatigue, hair loss. He had a few bouts of nausea and some minor weight loss. But that is it! Whatever kind of chemo his Oncologist gave him it was good stuff because it got the job done and he hardly even knew he was on it. I went up there for about a week. One treatment I went to I noticed that he had 4 bags. Three of those bags were various anti-nausea medications and one bag was chemo drugs. His doctor took very good care of him! Ten days ago he had a PET Scan done. I asked everyone to pray that it would be clear. We all spent the entire week praying to that end. On Wednesday of this past week Dad called me himself and said it was clear. The doctor handed him the report and told him to read number 1. It had those magic four words I started this entry with – No Evidence of Cancer. And just like that it was over. I have no idea what the future holds but I know who holds the future! Since 2010 my dad has had cancer TWICE and has beaten it TWICE! God has healed him TWICE! God is still on the throne and is still in the healing business! He still answers prayer! And for that I am eternally grateful. Without that promise I don’t even want to think about where we would be. Today is Sweet Shot Tuesday. (Head over to Darcy’s blog to share your own sweet shots and find other’s as well.) As you know if you have spent any time here at The Journey Leads Home I am snap happy with my cell phone camera. It doesn’t even have to be something that is happening right in front of me. I will take a picture of something on the computer or on the TV – doesn’t matter. So this weekend I put a DVD into the laptop. It was of my dad preaching. What’s so special about that? Well my dad has been a preacher/teacher/sing since I was very young. I really don’t remember a time that he wasn’t one. He developed a virus that attacked his vocal chords which took his voice. He would have surgery to remove the growths that would grow and then he would be fine again for a while till they would grow back obstructing his ability to talk. Last March during a surgery his doctor found a suspicious spot which turned out to be Laryngeal Cancer. It was the most traumatic experience our family had been through. The months leading up to this discovery were torturous and heart wrenching. He had surgery to remove his entire voice box and a prosthetic voice box was put in. It was a long hard battle to learn to breath and talk again. But a couple of weeks ago he preached his first sermon back in he and mom’s home church. He has to go a little slower. But his heart and mind are still full of the power of the Spirit and love of the Lord. 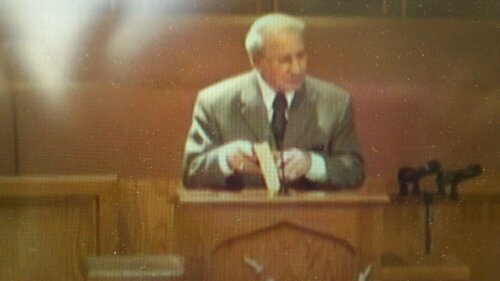 So today’s sweet shot is a picture of him back in a pulpit where he knows God has called him to be. Who knows what else God has in store for his life. But he certainly isn’t done with him. I have written a series about my dad’s struggle. It is multiple entries about the walk we all took through the scariest experience of our lives. You can search on this blog for “My Dad My Hero” to find the series. My dad also writes a column here in his own category titled A Message From My Dad. You can search this blog for “A Message From My Dad” to find all of his articles. His articles post every Sunday morning here. He writes about things that he has learned through the Word and through his experience with cancer. My dad is truly my hero. His spirit has remained faithful and he has fought hard and he is back! Seeing him standing in that pulpit again proves it. He is such a blessing and such an example to me to not give up, not even when it’s hard and you really want to.